Philip is married to Karen and they have one son Aaron, who is undertaking a Master’s Degree at the Queen’s University of Belfast. Philip assumed his role as Principal after serving in the British Army as a chaplain. A former centre-lathe turner in Harland & Wolff Shipbuilders, Philip took voluntary redundancy to study and train for ministry at the Irish Baptist College and the Queen’s University of Belfast. Called to the pastorate of Carryduff Baptist church in Northern Ireland, he served as the church’s sole pastor until God called him to Army Chaplaincy in 1997. As a chaplain in the Royal Army Chaplains’ Department, Philip did a varied number of interesting and challenging jobs, including being the Brigade Senior Chaplain for 19 Light Brigade and the Task Force Senior Chaplain for HERRICK 10 in Afghanistan. He received the MBE for his pastoral care of and leadership to an inter-denominational team of 12 chaplains and to the soldiers of the British Task Force in Helmand. 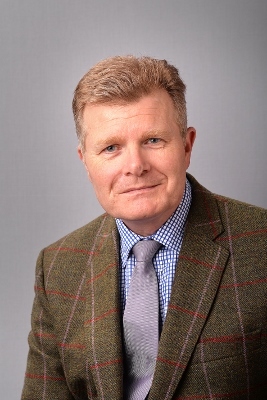 In 2013 Philip became the academic lead on ethics nationally and internationally for the British Army. He articulated the ethical foundation of the British Army and created a practical model of ethics widely embraced, taught and used within the Army and the Royal Marines. His Honorary Professorship in the Institute of Health and Society, the University of Worcester is based upon his work in ethics nationally and internationally, as was his appointment as Principal Fellow of the Higher Education Academy. Prof McCormack holds PhDs from The Queen’s University of Belfast in New Testament and Cranfield University in Philosophy and Strategic Studies. He is the Chair of an International Prize Committee for Military Ethics and is the President of the Naval & Military Bible Society. ‘You’ve been silent Padre’, inMilitary Chaplains in Contention, ed., AJ Todd (Farnham: Ashgate, 2013) Chapter3. ‘Trans-universal values in a Postmodern multiverse’,Defence Academy Year Book 2011 (Shrivenham: The Defence Academy of the United Kingdom, 2011) p92-99. ‘Domitian’ (part 1), Irish Biblical Studies vol25.2 2003, p74-101. ‘Domitian: The Imperial Cult’ (part 2), Irish Biblical Studies vol25.3 2003, p121-145. ‘Clergy in Wartime’ (2012) this was the opening address of the International Conference of the Network for the Study of War and Religion in the Twentieth Century, at the Armed Forces Chaplaincy Centre.